I just read a summary of a very interesting report from Buddy Media on Mashable.com, which examined some of the common mistakes made on Twitter. The report also provided specific recommendations on how marketers could improve their outreach through the channel. “Twitter engagement rates for brands are 17% higher on Saturday and Sunday compared to weekdays. 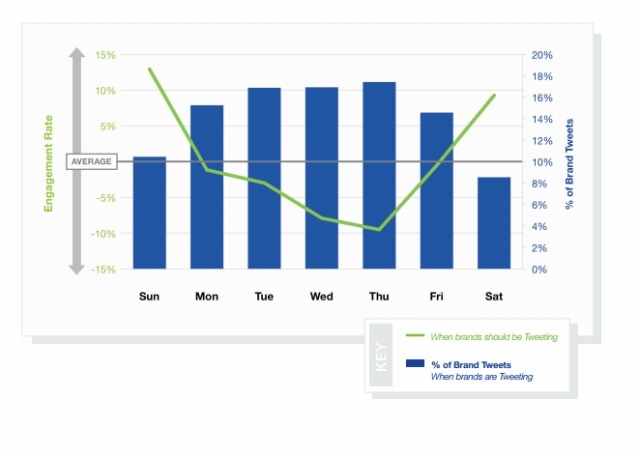 However, most brands aren’t taking advantage of this phenomenon and, on average, only 19% of the brands’ tweets were published on the weekend. 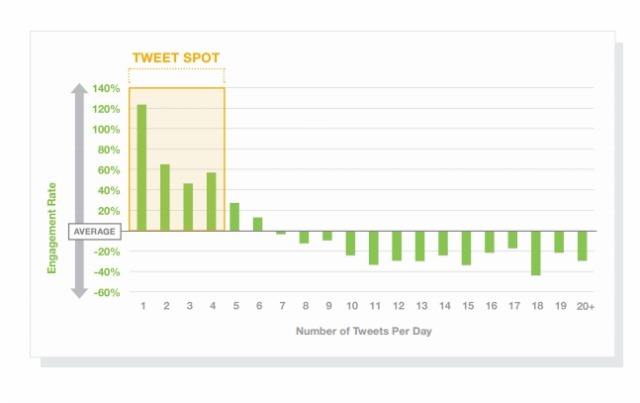 Tweets during such hours, defined as between 8 a.m. and 7 p.m. in the study, got 30% higher engagement rates than those those that occurred after-hours. Twitter’s performance in this respect is the mirror image of Facebook, where posts on “non-busy hours” get 17% higher engagement. Meanwhile, the “tweet spot” for the number of tweets per day appears to be four. After that, the law of diminishing returns sets in. As for the tweets themselves, Buddy Media suggests keeping them to fewer than 100 characters. Tweets of that length got a 17% higher engagement rate than other, comparatively windy tweets. While you’re tweeting, it’s also a good idea to include a link, since such linked tweets have an 86% higher retweet rate than their linkless counterparts. Tweets with hashtags get twice the engagement of those without, yet only 24% of tweets during the time of the study used them. Using one or even two hashtags in a tweet is fine, but if you add a third, you’ll begin to see an average 17% dropoff in engagement. Posts with images have double the engagement of those without even though users can’t see them until they click on them. For the full article, visit Mashable or download the full report from Buddy Media.